As we close out 2015, our traditions on looking back and looking ahead on technology trends for the coming year, continues. 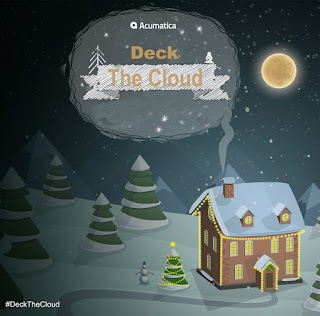 Acumatica, The Next Generation Cloud ERP Software company, sat down with four of its top analysts and thought leaders, to find out what happened in the ERP world this past year, and what to expect in the New Year. While, the conversations were created originally as video series, “Deck the Cloud”, we’ll be highlighting a few of the questions discussed. The key question each analyst was asked is: What ERP buying trends do you see in the marketplace? Esteban Kolsky, Founder and Principal of thinkJar, a thinktank focusing on how organizations can better use technology. Frank Scavo, President of Strativa, an IT and management consulting firm, and President of Computer Economics, an IT research firm. Jon Reed, Co-Founder of Diginomica, a disruptive tech media blog focusing on enterprise issues and concerns. Cindy Jutras, President of Mint Jutras, an independent research-based consulting firm that specializes in analyzing the business impact of enterprise applications. Let us know what ERP buying trends you see in the marketplace today in the comments, or you can join the conversation on Twitter with the hashtag #DecktheCloud.